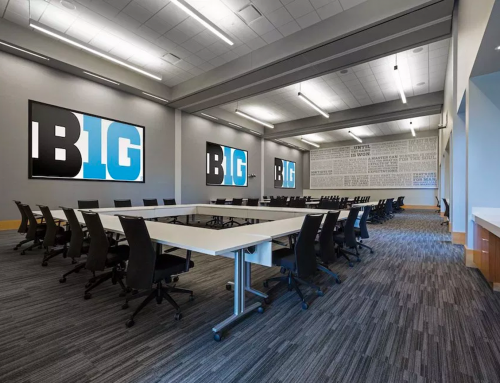 The Big Ten Conference, an association of 14 world-class universities, was looking to create a one-of-a-kind command center and implement twelve automated conference rooms for its Rosemont, Illinois, headquarters. 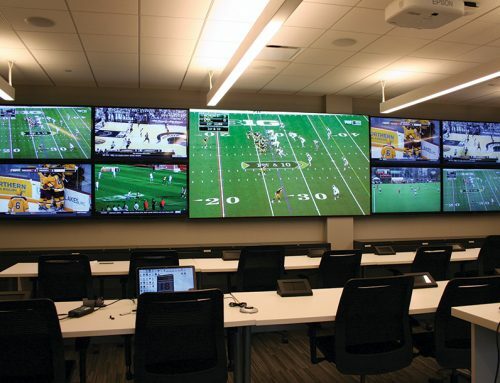 The integrated command center was designed for officiating coordinators to observe, evaluate, and train officials in various sports and needed to combine one-touch simplicity, mission-critical dependability, and the ability to select and share content. To bring these innovations to life, integrator Frequency Audio Visual Services turned to RTI. The tailor-made installation allows staff to select feeds directly on individual touchscreens before sending content to a 35-foot video wall for review. 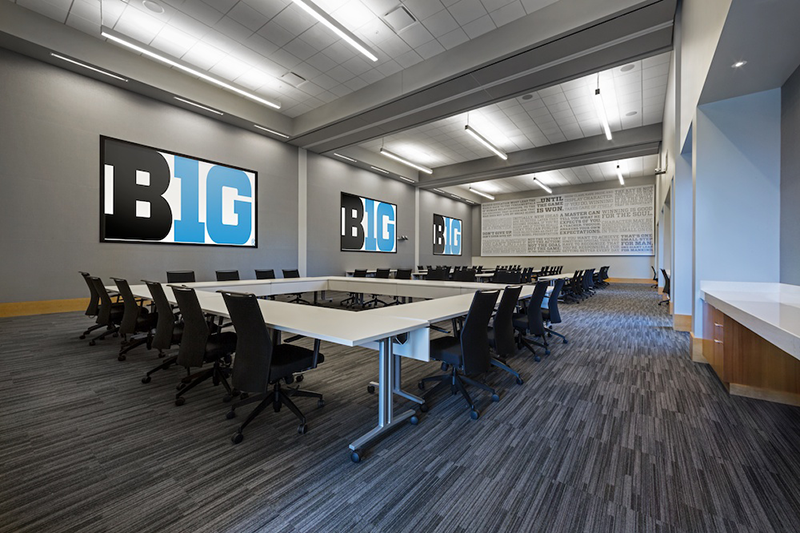 The Big Ten command center is built around RTI’s powerful and affordable XP-3 control processor and the award-winning RTiPanel app. Designed to be the cornerstone of any professionally installed control system, RTI’s line of XP series processors automate the operation of electronic systems, including A/V, security, lighting, HVAC, and more. 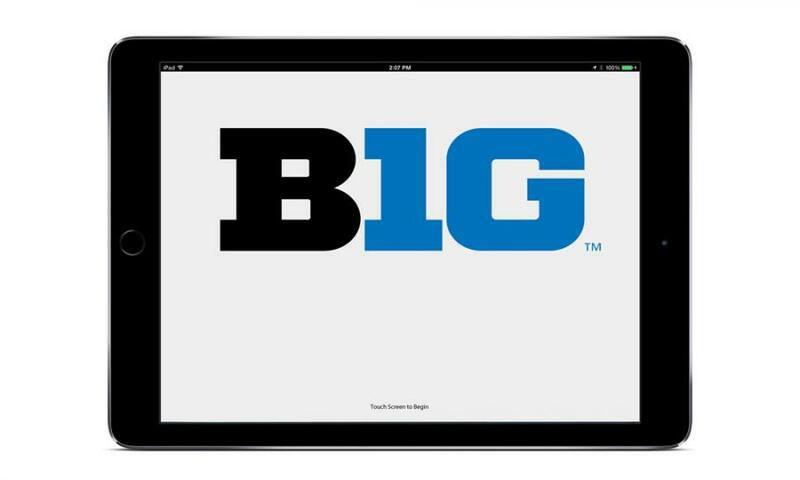 Using the RTiPanel app for Android™, Big Ten staff are able to monitor up to nine games in progress by recreating the room’s large 6-foot by 35-foot video wall in the palm of their hand. Staff can simply tap their tablet screens to highlight game feeds, adjust volume levels on their headphones, or request that specific sequences are sent to the video wall for the entire group to review. A moderator equipped with an iPad® running the RTiPanel app centrally controls the video wall — curating content, starting and stopping game recording, as well as pausing and rewinding action to specific points in order for staff to discuss plays. 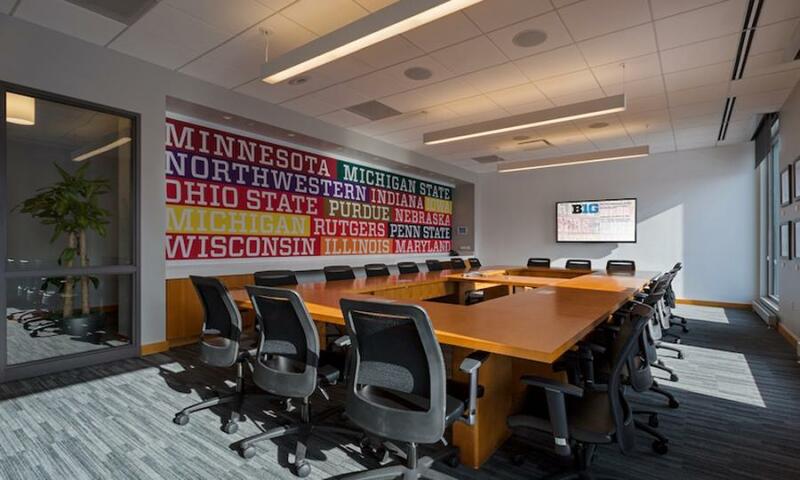 To bring intuitive control to the Big Ten’s twelve conference rooms, Frequency Audio again combined the XP-3 control processor with the RTiPanel app for iPad. 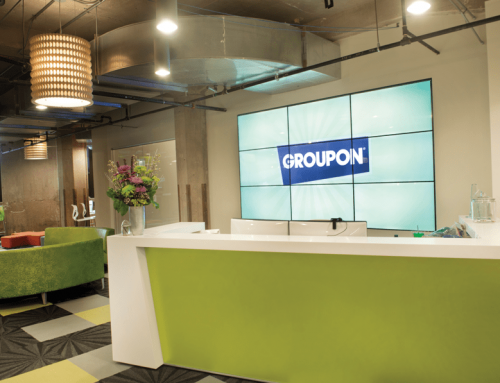 Installed in each of the 400-square-foot rooms, users can instantly select and control displays, projectors, conferencing equipment, DVD players, and more. Fully programmable, the RTiPanel app can be customized using RTI’s Integration Designer® programming software — allowing integrators to tailor the user interface for any installation. As a result, installers can easily create user experiences that follow a series of decision trees to direct staff to specific applications and usage scenarios. 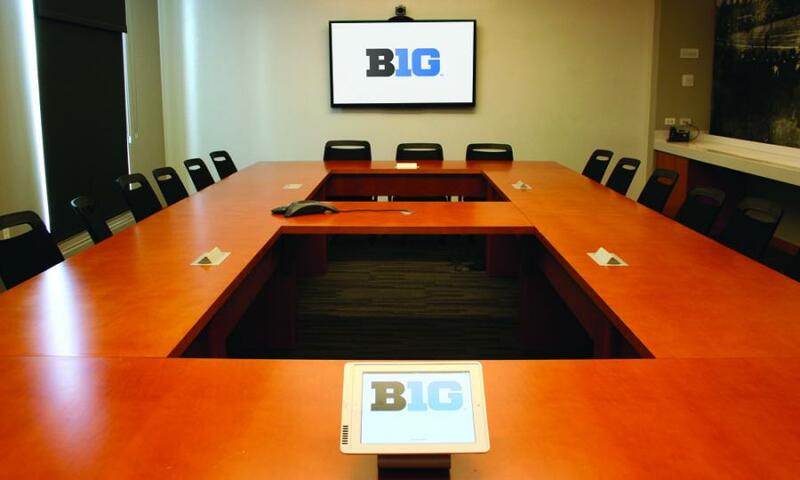 The software also allowed the integrator to use Big Ten’s branding material such as graphics and logos to further tailor the tablet interfaces, while RTI’s software development kit enabled the creation of two-way drivers to more easily control in-room solutions such as Polycom videoconferencing equipment.